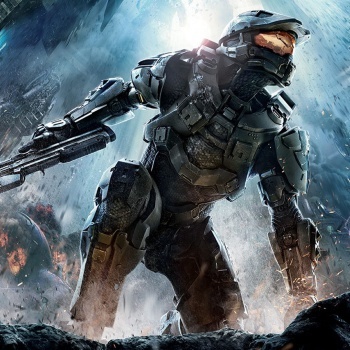 Neill Blomkamp says he'd still love to make a Halo movie but only if he's given creative control of the project. You may recall that Neill Blomkamp of District 9 fame was signed to direct a film based on Microsoft's Halo franchise before the whole thing fell apart back in 2009. Four years down the road, we still don't have a Halo flick and as far as I know there's not even anyone tentatively tapped to make it, but Blomkamp says he's still interested, if - and only if - the circumstances are right. "I still really love the world and the universe and the mythology of Halo. If I was given control, I would really like to do that film," Blomkamp said at a press event for his current project, Elysium. "But that's the problem. When something pre-exists, there's this idea of my own interpretation versus 150 other people involved with the film's interpretation of the same intellectual property. Then the entire filmgoing audience has their interpretation. You can really live up to or fail in their eyes. That part isn't appealing to me, but the original pieces are appealing." Halo does have a deep and powerful mythology, and while that can be a great stepping-off point for spin-off projects like films, it can also be a real straightjacket for creative types who like to do their own thing. And given the choice, I'd rather see Blomkamp stay that course; the bright side of his departure from the Halo project was the excellent District 9, and if not making Halo means more movies like that, I'm sure not going to complain. Elysium, by the way, is set to come out in August.